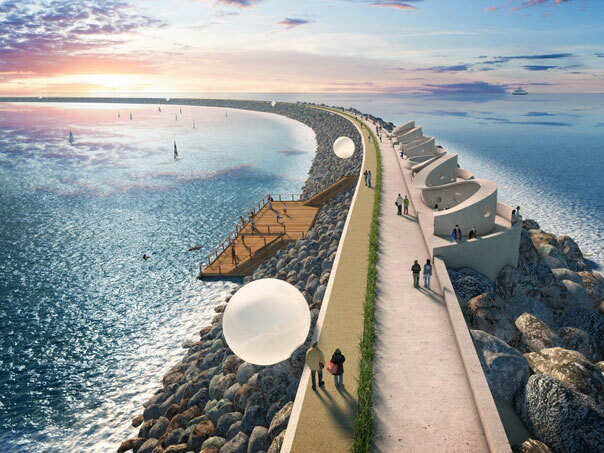 While Heathrow is celebrating the announcement of a third runway getting the go-ahead today, South Wales is still awaiting a formal response on the prospects for the £1.3bn Tidal Lagoon Project. However a series of leaks to the press indicates that a decision to scrap the project has already been taken in all but name. A senior government figure, asked what the chances were of the project getting the go-ahead, told the Financial Times there was not a “cat’s chance in hell”. Another Whitehall figure said off the record that a negative decision was already taken a fortnight ago but ministers had been discussing ways to mitigate the political impact by offering support for other new low-carbon energy projects in Wales. The Financial Times reported last Thursday that the proposal will be formally thrown out this week, and the BBC have today published contents of a leaked email showing that Welsh Secretary Alun Cairns himself expressed concern over the cost of the Swansea Bay tidal lagoon, saying the “numbers are awful” and the lagoon’s output would cost “twice the price of nuclear”. TLP defended the projected costs of the energy the lagoon would produce. “This is a world-leading technology: it will create 1,000 jobs, both in construction and in terms of maintenance and manufacturing of the kit. It seems, for the UK government, Wales is just not important,” he said. Stephen Doughty, MP for Cardiff South said if the reports were true they are an “utter disgrace”. “There have already been discussions with Welsh Government and they have already made a significant offer of support to the project. Having already been delivered the blow of a planned rail electrification project being cancelled, South Wales businesses continue to wait – and hope.